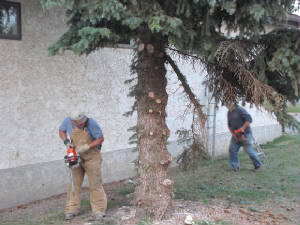 The Olds Lions Club was asked to remove an old spruce tree from behind the Olds Library. The building was going to be demolished to make way for a new library and the tree had to go. 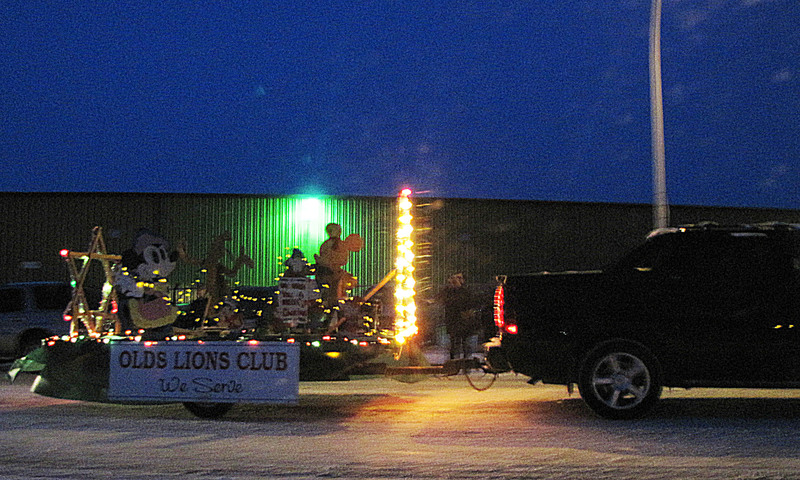 Unfortunately it was too large to move to another site. It was felled without incident. 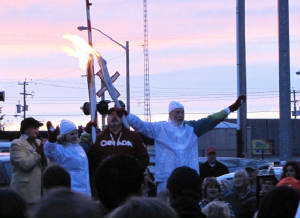 The Olympic torch as it passed through Olds in 2010. 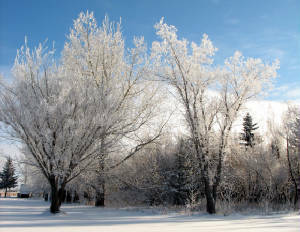 Winter frosts painting some of the Elm trees in Olds. 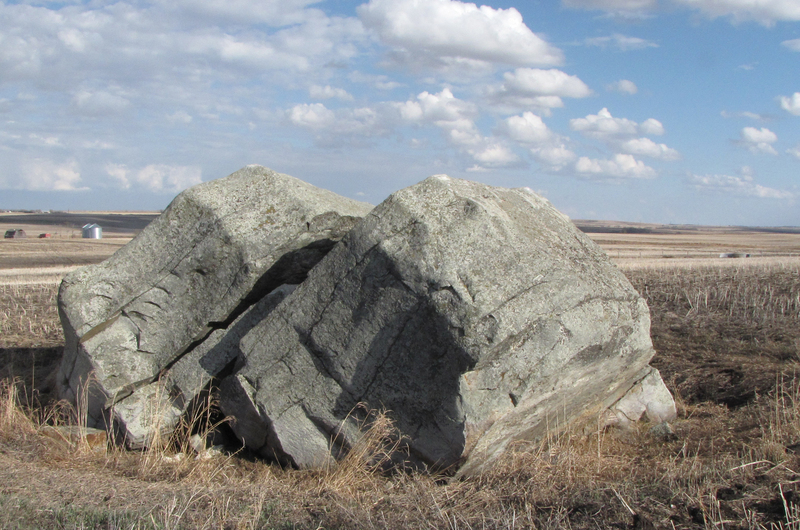 The Madden Erratic is part of pre-history. Located S.W. of Olds within easy driving distance this huge boulder is part of Mount Edith Cavel in Jasper National Park. It was carried and deposited in its present location by the last ice age. It has been used for centuries as a 'rubbing rock' by an untold number of bison. The ruts left in the earth by their hoofs are still plainly visible.